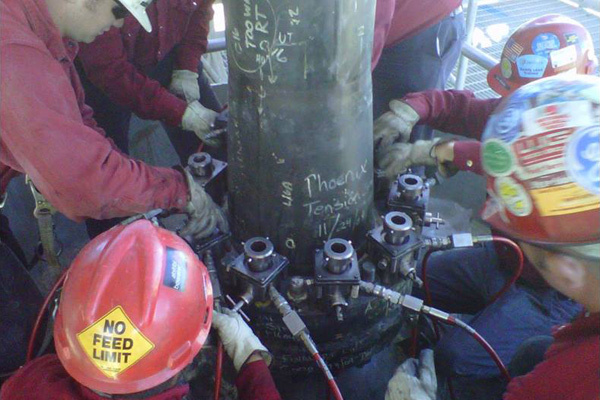 Accurate stud tensioning can enhance performance, safety and extend the life of your equipment. Down Time Services has the largest inventory of Biach stud tensioning systems in the U.S. Our hydraulic stud tensioners are equipped to be manifolded together in series using a single hydraulic pump to ensure highly uniform results for reliable performance over the long term. 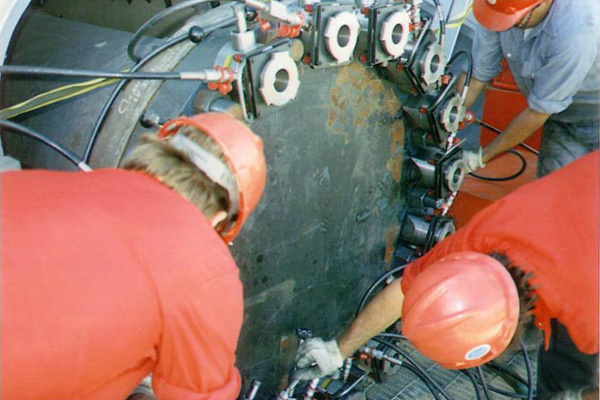 This method is ideal for flanges, pipes, reactor heads, boiler housings and a variety of other large machinery. We also offer stud removal and nut splitting services. The best stud tensioning and torquing equipment and the highest skilled craftsmen deployed to your site ensures the highest quality on site stud tensioning and torquing in the industry. 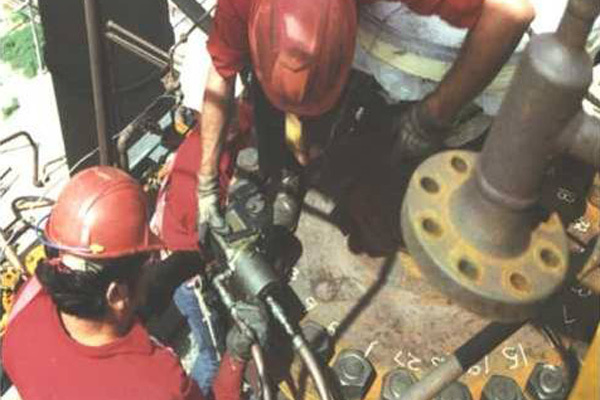 Contact Down Time Services today for your next stud tensioning and torquing project.